AutoCAD® Electrical Archives | Holt Design Co.
I’m pleased to offer a great set of tools for AutoCAD Electrical symbol building – for free! These tools are designed with substation designers in mind, allowing them to create large-scale symbols (think SEL relay wiring diagram symbols) with ease and efficiency. Here’s a brief glimpse of what’s included. IAN – This tool allows users to automatically increment attribute names, so that TERM01 becomes TERM02 with just a single click! IAV – Similar to IAN, except that instead of incrementing attribute names, this tool increments attribute values. CHA_DIR – This tool lets users quickly and painlessly change the direction of attributes like X1TERM01. That means you can change X1TERM01 to X4TERM01 with just a click! 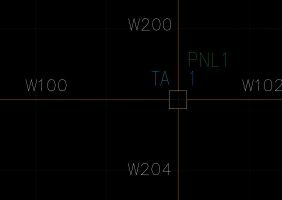 REORDER_ATTDEF – In the Enhanced Attribute Editor inside of AutoCAD Electrical, attributes appear in the order in which they were placed on the symbol drawing. But with this tool, attributes are reordered so that they appear in a logical and functional order. AGAP – This tool creates a user-defined gap between attributes, making symbols look clean and professional. Full documentation is included with the download. Just click on the link to download the .zip file, and then extract it in a convenient location on your local drive. Open any AutoCAD Electrical drawing, and the file holtdesign.fas to the Startup Suite by using the command APPLOAD. Now the file will automatically load with every new drawing you open. We’re confident that you’re going to love these tools, and that they will make symbol building so much more fun and efficient! Note (11-28-18): The design tools have been updated to correct an issue with the AGAP tool requiring the user to be running the SDS toolkit in AutoCAD Electrical. Drafting substation projects is often tedious work because there are so many things that have to be done over and over again. Small, mundane tasks need to be repeated countless times in order for your intelligent substation project to work properly. 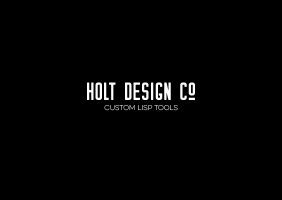 Fortunately, Holt Design Co. has created some custom LISP tools to make some of these processes much quicker. Two things that you just can’t get around are adding wire numbers and marking external terminal connections. Normally this would involve clicking on each wire that you want to number, adding your custom text, and repeating ad infinitum. Then you have to go back and check the I/E connections of each terminal. This process can be extremely tedious, not to mention mind-numbing. In order to make this process more bearable for one of our clients, we have created two custom LISP tools to blast through these processes. We’re able to use these tools because this client has done something really smart with their template: They created a separate layer for all of their external wires. An external wire begins at a terminal point on one location (say, LOC code = R1) and ends at a point on another location (say, LOC code = R2). The terminal connection points at either end of these wires need to be marked with an E, for external, so that they will annotate on the appropriate side in the wiring diagram. Putting these wires on a separate layer allows the designer to know, at a glance, that this wire needs a cable marker and a wire number, and that the terminals on either end are external. This kind of visual cue is, in our opinion, a great way to design a substation project. The first of our custom LISP tools allow our client to simply click on a wire and swap it to the external wiring layer, as well as automatically mark the connected terminal points as external. Once the designer has inserted and labelled cable markers on these wires, the second tool allows him or her to pick on a wire and automatically sets the wire number based on the cable marker and conductor color. Take a look at the video above to see these custom LISP tools in action. One of the most common questions we get about using AutoCAD® Electrical symbols is what to do with the INST attribute. It seems important, and you would think that it ought to carry a value of some kind. But that’s not always the case. In fact, you will most likely never need to use the INST attribute in any of your projects. Let me explain. Just like the LOC attribute stands for LOCATION, the INST attribute stands for INSTALLATION. The installation code is the next layer of component identification above location. For example, if you have a protection relay R1 in location PNL2 in installation N, the software would identify that component as N+PNL2+R1. (The image on the left shows where this option is activated in the Project Properties menu. It is highly recommended that this option is always on for all of your projects.) 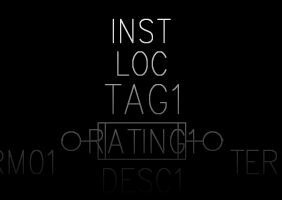 As far as AutoCAD Electrical is concerned, the name of your component is a concatenation of three attributes: INST + LOC + TAG. So it might seem like a good idea to assign a value for the INST attribute in all of your drawings, right? Probably not. The installation code is only meant to be used on large substation projects with multiple installations of (essentially) the same system. If your project has two or more control houses (for example, a north side and a south side), then you probably need to set the INST code. Otherwise, it’s perfectly acceptable to leave it blank. There’s no need to add another layer of complexity to an already complex project. Using unnecessary installation codes can cause confusion for the designer and the software. The LOC and TAG attributes are all that are needed to identify the components in any project for most users. Adding another layer of identification only creates the possibility for more errors. As always, it’s better to keep things simple. Unless your project has multiple control houses, ignore the INST attribute. But if your project does require multiple, identical design copies, we recommend using a sensible code. How is each identical design copy labelled? Consider using that to come up with a short, unique INST code for each design copy.